Van Cleef & Arpels CEO tells a story of love, loss and luxury. Behind every success, there is a story to tell. Van Cleef & Arpels chief executive Stanislas de Quercize tells Kat Slowe the tale behind the iconic jewellers and speaks of the tragedy that sparked him to leave a career in law and blaze a trail through the industry. French is known throughout the world as the language of love. It therefore comes as a surprise when the first words that French Van Cleef & Arpels chief executive Stanislas de Quercize quotes are those of a Russian, albeit a famous one. ‘Beauty will save the world,’ de Quercize purrs, adding glamour to words that couldn’t possibly have sounded as good on the tongue of original owner, Dostoevsky. It is of Van Cleef & Arpels that de Quercize is talking. Contrary to many chief executives, he clearly possesses a passion for his industry and the company he leads. A part of the Richemont Group, Van Cleef & Arpel’s name holds a venerability which its parent company cannot hope to match. 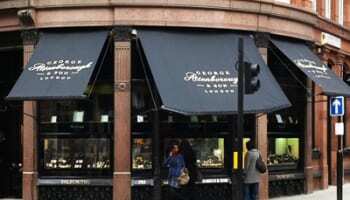 Formed in 1906, the jeweller has a rich and varied past and has successfully survived more than one troubled era in history. In 1939, during the Second World War, Van Cleef & Arpels opened its first American boutique in New York, which remains its most successful store in the world today and in 1968, during what de Quercize describes as a ‘sort of French revolution,’ the jeweller launched its iconic Alhambra collection, with its four clover leaves symbolising health, wealth, true love and luck. It is this creativity and the desire to find beauty in difficult times that de Quercize believes to be one of the defining aspects of Van Cleef & Arpels. 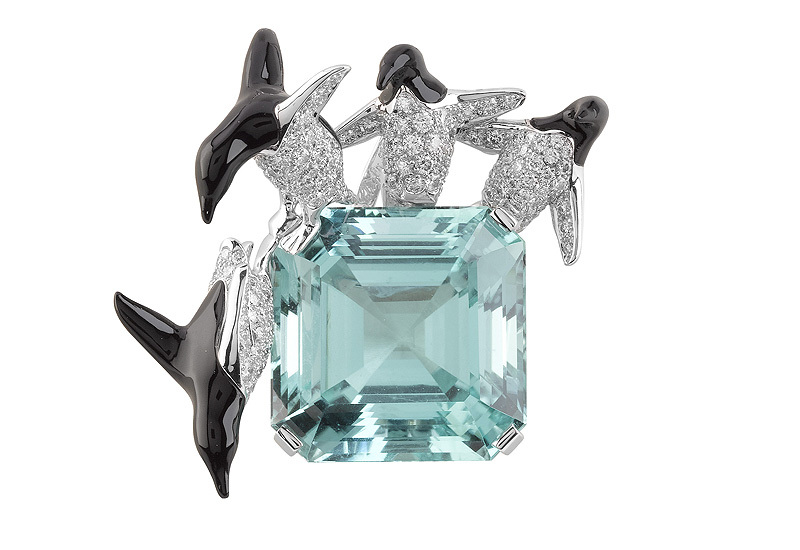 In a reflection of this, Van Cleef & Arpels has launched two new collections in the last few months. The first, launched in London in May, is the Perlée collection. Named after its beaded borders and inspired by some of jeweller’s earlier classic lines, the more affordable range has been designed for everyday wear, with the cheapest item, a ring, costing just £300. The second collection, Les Voyages Extraordinaires, remains very much in keeping with Van Cleef & Arpels’ more standard, high end style. Launched last month in Paris, it is inspired by the tales of Jules Verne and features some particularly spectacular pieces based on sea creatures. But, with price tags easily in the tens of thousands, Van Cleef & Arpel’s clientele are looking to obtain the very best. With contemporary and vintage jewellery from the house often appearing on the red carpet, his clients can be very particular in their demands. De Quercize seems eager for the challenge of pleasing. His perfect client, he explains, would be the truly demanding woman. And price would really have to be no object. It appears perfection does not come cheap. In emphasis of this, de Quercize is unable to quote the jeweller’s most expensive piece. One side effect of producing such high end pieces is that the current high cost of precious metals does not appear to have had the impact it has had on some others in the industry. That is not, however, to say that it has gone unnoticed. In fact, de Quercize has a rather unique take on the high prices of precious materials, as connected to economic climate. “You know why jewellery was invented?” he asks, enthusiastically. “Jewellery was invented on earth to protect men and women against bad omens. In the olden times men, even when they were travelling – it was very dangerous to travel – they were always carrying a purse with little stones to protect themselves. “If you look throughout the world, usually in the old times, people were being buried, often with weapons on one side and jewellery on the other side, to protect themselves. And, you know, bracelets are small shields, so those too would protect you. It is possible that it was a similar belief in the intrinsic protective power of jewellery that caused de Quercize to enter the industry. A trained lawyer with an MBA, the jewellery industry was not de Quercize’s first choice of career. He only joined the Richemont Group as Alfred Dunhill and Montblanc general manager in France when he was 33, before moving on to work at Cartier and eventually Van Cleef & Arpels. 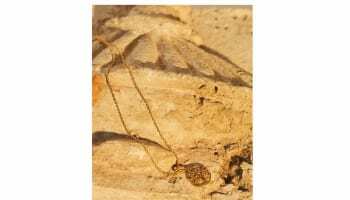 Though his fascination with jewellery may always have been present, it was not until he experienced a personal tragedy that he was pushed to explore it. “There was a certain moment when I lost my first child,” he says, in a bleak voice from which all previous emotion has been stripped, “and it was probably a moment where I realised that in life… life is short and you need to express your feelings and he had a very successful life, although it was very brief, because he was loved and he loved others. It was during this time, as he sought to deal with his emotions, that de Quercize was to enter the industry which he felt would grant him the opportunity to play a part in others’ joy. It also partly explains his perception of jewellery as a gift of love, rather than a practical purchase. It is this concept which he claims lies behind the Alhambra design, the clover leaves which promise good fortune to those that wear them. For surely, any person would wish to provide such a gift to the one they love? And it is ideas like this, which are the real reason why Van Cleef & Arpels will always survive through difficult times.